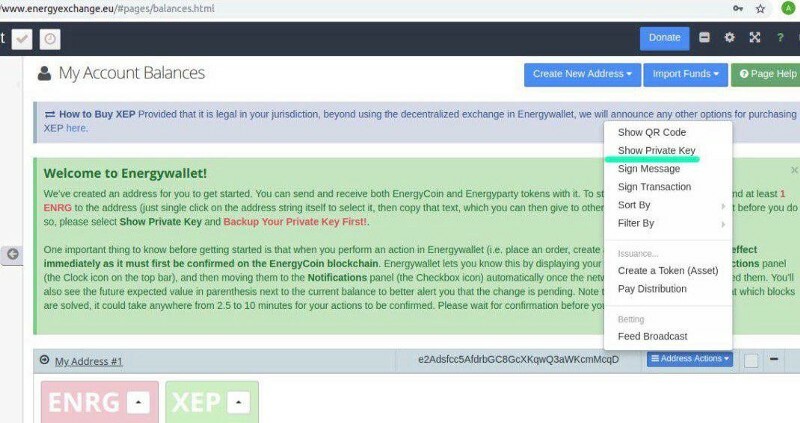 We are sure that majority of you know about EC Core and EC Web clients, but for the new members of the growing EnergyCoin community. With Core Client there are few benefits. Most important is staking. Staking is basically mining cryptocurrency that is PoS (proof of stake), with more weight (how much ENRG you got), you earn your coins faster. Second important benefit of Core Client is that you don’t need the internet for it to work, it is an offline wallet. As you could figure out from the context, there is no staking on a web wallet. There is one part that takes time, and it is syncing. You can find details about downloading and syncing here. Our web wallet is easy for usage, and everyone can create one without downloading anything, just click here and create one for yourself if you haven’t thus far. Advantage of a web wallet is that there is no syncing, no waiting, nothing complicated, just simple clicks and you’re done and ready to transfer your ENRG to the address you received. Is it safe? Yes, it is. Just make sure that you save your “private key” somewhere safe where no one can look. With it, you can restore all of your funds due server crash or any other kind of issue and you can sync your web wallet with your Core Client any time you want.